India vs England 3rd Test match Day 5: On Wednesday, India hammered England by a remarkable margin of 203 runs. The victory brought the scoreline to 2-1 and also the home side missed a chance to win the series. India wins Nottingham test by 203 runs. Earlier, England was just 210 runs away from the victory and James Anderson and Adil Rashid were trying to approach the target to win the 3rd Test against India at Trent Bridge, Nottingham. 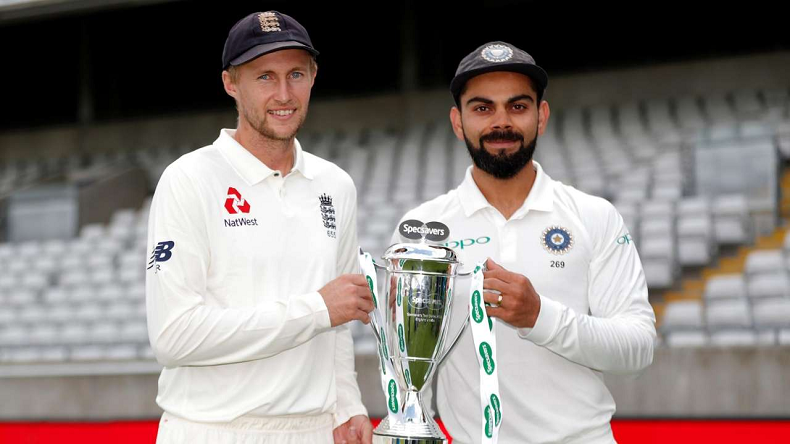 The Day 5 of the third Test at Trent Bridge ended with India finally opening its account in the five-match Test series. After losing back to back two matches, the victory was quite necessary for the Indian team. On Wednesday, India hammered England by a remarkable margin of 203 runs. The victory brought the scoreline to 2-1 and also the home side missed a chance to win the series. To achieve the glory, England was supposed to hit the massive 521 target, however, the team was all out at 317. The day 5 started with 311/9 at the scoreboard and James Anderson and Adil Rashid on the field trying to approach the target. The entire game on Wednesday concluded after 11 balls with Ravichandran Ashwin serving the fastest spinner to England No 11 James Anderson. Anderson was caught by Ajinkya Rahane at the slip, which also credited the first wicket for an Indian spinner in the series. It was a personal victory for Indian Captain Virat Kohli who dedicated the triumph to the Kerala flood survivors. In his side’s first-innings he scored 97 while it was 107 in the second innings and was also declared as the man of the match. While England admitted that their performance in the first innings has let them down. On the other hand, Kohli said accepted the fact that the victory was necessary for India to remain in the series. Also, the players are proud of their performance in the game and they have displayed a remarkable coordination throughout the game.